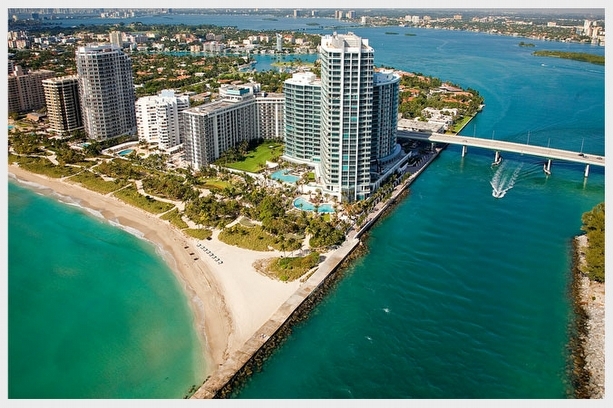 Linda "G" of Linda G Properties and ONE Sotheby's International Realty Miami Beach is proud to announce that the Ritz-Carlton will be officially closing on October 1st 2014 on the purchase of the ONE Bal Harbour Resort & Spa hotel areas. According to sources close to this transaction, the purchase includes the lobby areas, restaurant, spa, hotel pool, gym and 9 pure hotel units. The Ritz-Carlton will be providing all the services at the ONE Bal Harbour for not only all hotel guests and spa visitors to enjoy, but also those residents that live in the condominium residences at the property. In January of this year the ONE Bal Harbour residents association completed the purchase of the hotel areas and the 9 remaining hotel units. This put the residents association in complete control of the hotel resort & spa and allowed them to begin speaking and negotiating directly with a hotel and resort company that would provide the level of services and experiences for the resort guests and residents that all would wish for this truly one-of-a-kind resort and property. The Greater Miami Beach village of Bal Harbour has always been an exclusive enclave of luxury living with it's beautiful beach, bayfront mansions and yacht club, world class dining and shopping at the Bal Harbour Shops and so much more. With the Ritz-Carlton officially purchasing the ONE Bal Harbour Resort & Spa, this addition adds another world-renowned brand to a select list of others that also call the exclusive enclave of Bal Harbour home. A resident who purchased a ONE Bal Harbour preconstruction unit from me when I worked directly for the developer, told me today, "We have always loved living here at ONE Bal Harbour, and with the Ritz-Carlton taking over the resort and spa, we can't wait to enjoy the level of service that we know the Ritz-Carlton has built their reputation on. They have always been one of our favorite hotels when we travel, and now we won't have to leave home to enjoy their 5-star services. This is perfect!" I can't agree more, as the original developer's vision for the ONE Bal Harbour Resort & Condominium Residences was to create a hotel, spa and condominium residence that would be second-to-none in South Florida. And with the Ritz-Carlton now owning and managing the hotel and spa, and providing the services throughout the property, I think that original vision will be truly realized. ONE Bal Harbour has always been a special property with it's unique location on the ocean, inlet and bay and the unspoiled ocean and water views up the coastline and the unhindered golden sunset views over the bay. The unique floor plans and layouts of the residences were designed to create unparalled living spaces with maximum views of all that this beautiful area of South Florida has to offer. As a ONE Sotheby's International Realty Miami Beach Top Producer, I will be happy to speak with anyone that would enjoy calling this spectacular oceanfront Bal Harbour property home. i have recently closed a number of my own Linda G Properties exclusive listings here at ONE Bal Harbour and can always assist those that want to live the special lifestyle that oceanfront and waterfront living in South Florida can offer. A history to goes back nearly 100 years. With nearly 100 hotels worldwide with 40 of those hotels in the U.S. Florida is home to 9 Ritz-Carlton hotels in; Amelia Island, Coconut Grove Miami, Fort Lauderdale, Key Biscayne Miami, Naples, Naples Golf, Orlando Grande Lakes, Sarasota and South Beach.